The Vendor Guide to Doing Business with the State of Utah document is designed to share with suppliers the procedures governing the sale of commodities and services to the State of Utah. The foundation of the State’s procurement process is found in the Utah Procurement Code (63G-6a- Utah Code Annotated). Specific rules governing procurement have been established by the Utah Procurement Policy Board and my be found within the Utah Administrative Code (Section R33). The State of Utah has partnered with JAGGAER (formerly SciQuest), an online e-procurement service, to distribute and receive bids, proposals and other solicitations posted by the State of Utah. This contract was implemented as the result of a competitive solicitation process and serves in part to satisfy Utah Procurement Code 63G-6a-112 Required Public Notice requirements. Please click the link to the left to view current and upcoming business opportunities or to login to your account (Utah Supplier Portal). 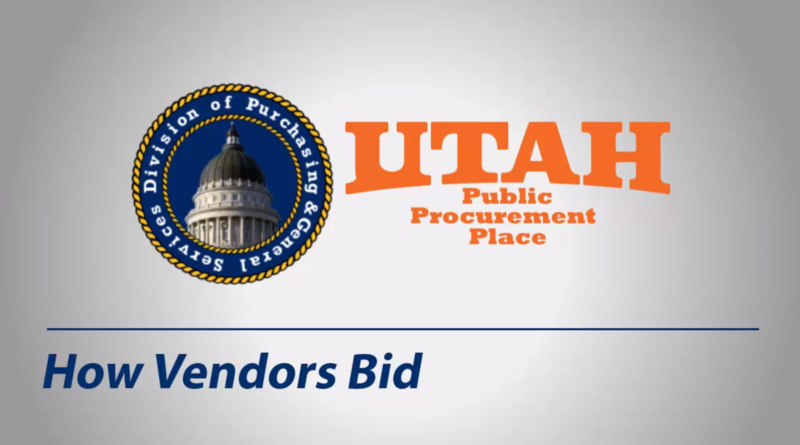 For bid tabulations and/or award results, please navigate to the Utah Public Procurement Place by clicking the “View Current Business Opportunities” button. From there, you will select the “Awarded” tab. Once registered, you will automatically receive email notification for all future sourcing events matching your selected commodity areas posted by the State of Utah and any participating political subdivisions. If you have any additional questions about the registration process, please contact State Purchasing’s SciQuest Admin Team at sciquestadmin@utah.gov.